Newly-opened 15 Stamford by Alvin Leung astounds with its repertoire of modern-esque Asian dishes such as their reinvented bak kut teh. Their dessert selection, while few, does impress nonetheless, especially their Gula Melaka Crème Brûlée. Nicely textured and brimming with a profound smoky, caramel-edged decadence, this dessert is worth trying if gula melaka is your thing. Infused and topped with a drizzle of stickily sweet gula melaka, their gula melaka scones is miles better than your average dry, plain scone. 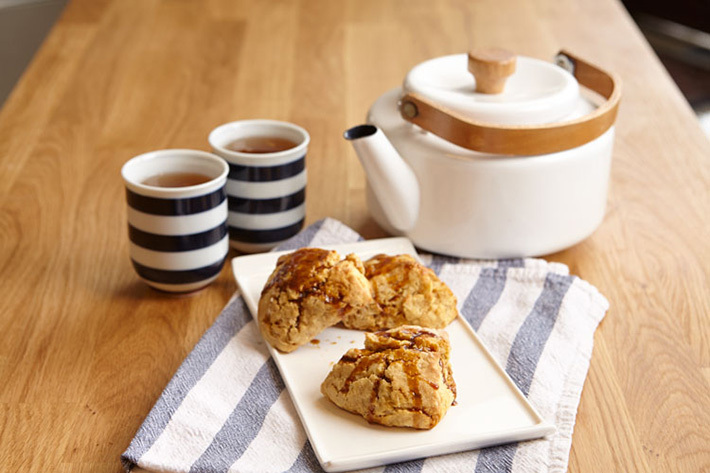 The scones themselves are buttery, crumbly yet moist and the palm sugar glaze is a nice touch. An out-of-the-box combination of flavours yet one that still works surprisingly well, the Avocado Gula Melaka Slice from All The Batter is one dessert that you should try, especially if you love avocados. Here, moist avocado batter cake is layered and topped with sweet Gula Melaka cream, creating a decadent dessert that’s a treat for the senses! 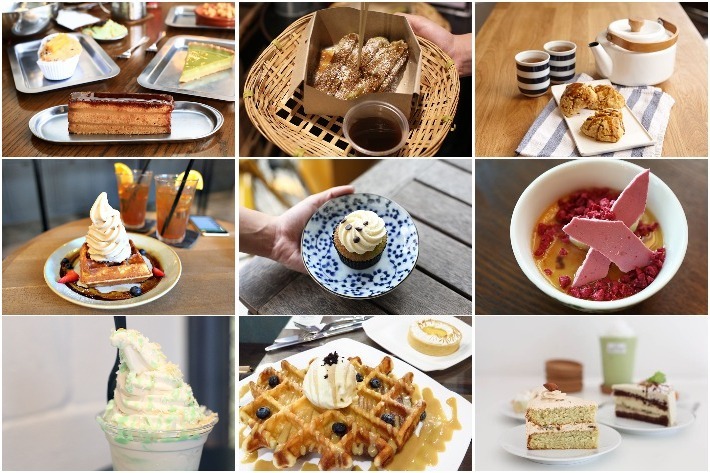 Butter Studio is one of the most popular Halal-certified bakeries in Singapore. 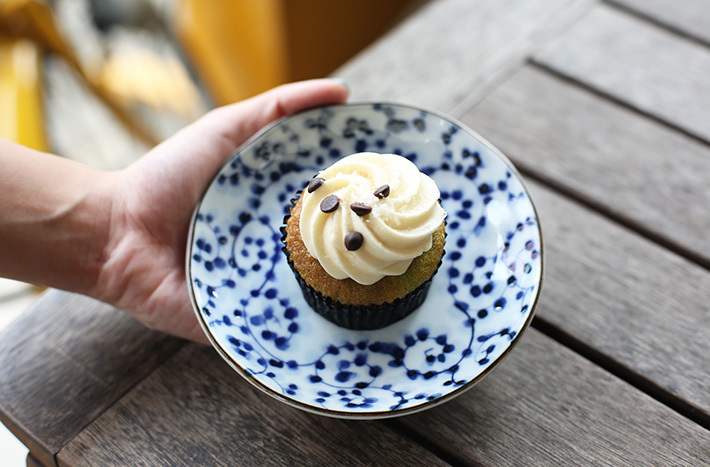 Their Salted Gula Melaka Cupcake has consistently been their best-seller and for a good reason. Hand-made from scratch daily, what you can expect is Gula Melaka encased in a pandan cake shell, before being topped off with Gula Melaka infused frosting and crunchy pearls. Who says that one cannot have prata for dessert? Innovating their dishes to the fullest, Casuarina Curry has come up with Ondeh Ondeh Prata —a prata dish perfect for a sweet round-off after a sinful meal. A scoop of coconut ice cream, cubes of pandan jelly and shredded coconuts sit inside a folded crispy tissue prata alongside a helping of Gula Melaka Sauce. Nestled in a cosy corner of the Tiong Bahru estate, Cheng’s @ 27 is a humble shophouse restaurant that whips up comforting, home-style Hainanese dishes. 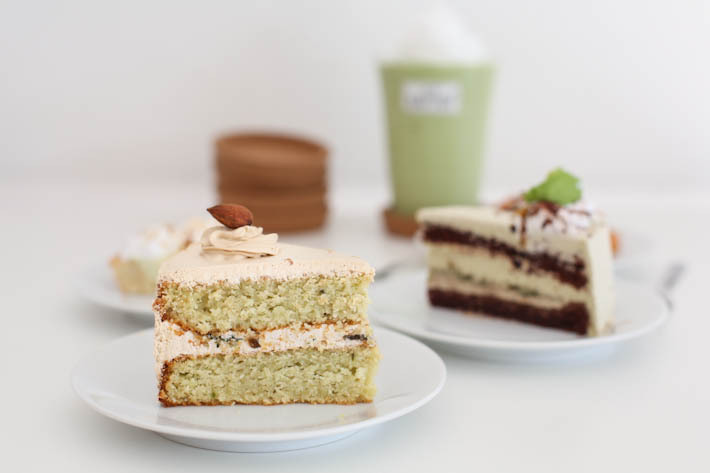 One of their specialities would be the Gula Melaka Organic Oil Chiffon Cake —soft, moist, and incredibly fluffy, you’d be glad to know that this cake is also healthy! A stall that needs no further introduction, Churros Factory is a haven for those who simply cannot have enough of this classic Spanish fried-dough pastry. Infused with pandan, their ondeh churros are topped with shredded coconut shavings and paired with a Gula Melaka dip. Creme Maison specialises in creating gorgeous cakes for every occasion and their cakes are masterpieces in itself. 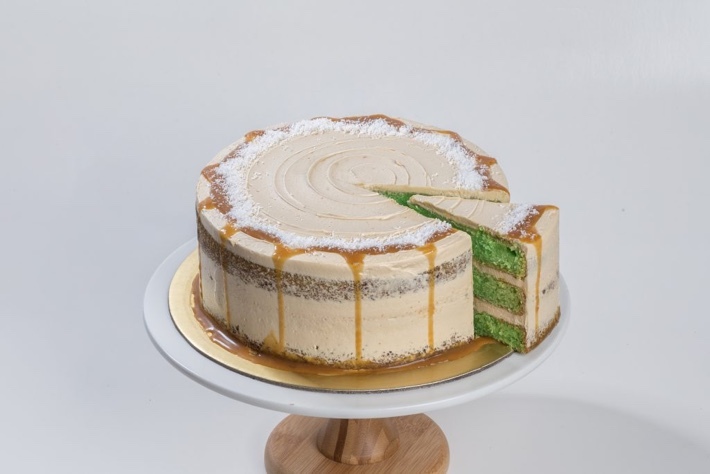 Their ambrosial Ondeh Ondeh Cake features pure pandan and coconut infused cake layers filled with homemade gula Melaka caramel, gula Melaka swiss meringue buttercream and desiccated coconut. 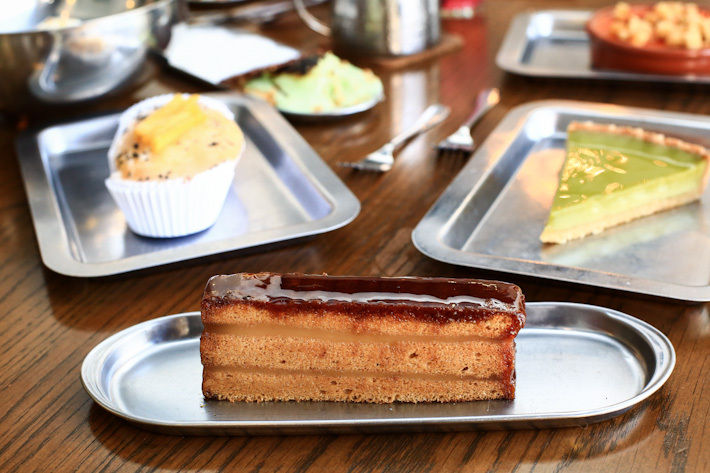 Edith Patisserie is your one-stop place for gorgeous, unique cakes that taste as good as they look. Their Pandan Coconut Gula Melaka Cake is a delectable classic, where fragrant and moist pandan chiffon sponge is held together by salted coconut buttercream and topped with desiccated coconut toppings. You’ve heard of gula Melaka and you’ve heard of lava cake, but have you ever heard of a gula Melaka lava cake? Etto serves that right up here and we find it incredibly satisfying to slice open the cake and watch all that decadent gula Melaka ooze out of it. Retaining the traditional flavours of the snack yet levelling-up in terms of transforming it into a chilled dessert, their Ondeh Ondeh Cake certainly hits all the right spots. Moist and soft layers of pandan cake and Gula Melaka fillings sit between blankets of light cream, bringing out the pronounced flavours of a traditional ondeh ondeh. Tucked away in an HDB estate just a few units away from popular Thai eatery Nakhon Kitchen is Hatter Street. 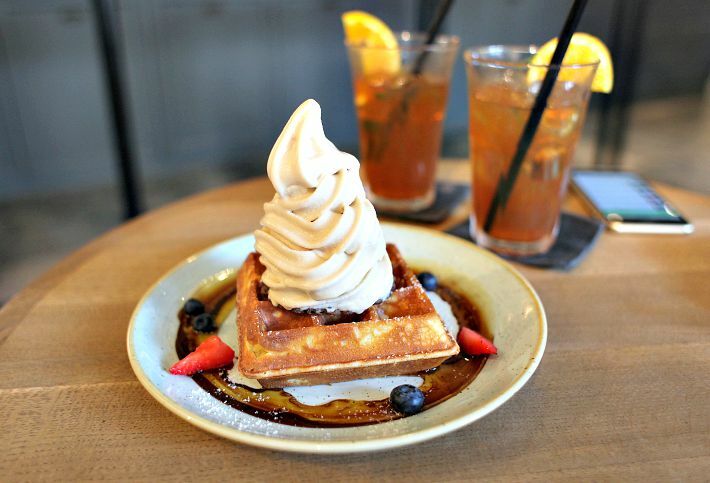 Here, they offer a wide range of desserts with a twist, but the one that caught our eye was their sinfully good waffle with pandan ice cream and gula Melaka sauce. This irresistible dessert is perfect for those who crave for a simpler, no-frills gula Melaka dessert! 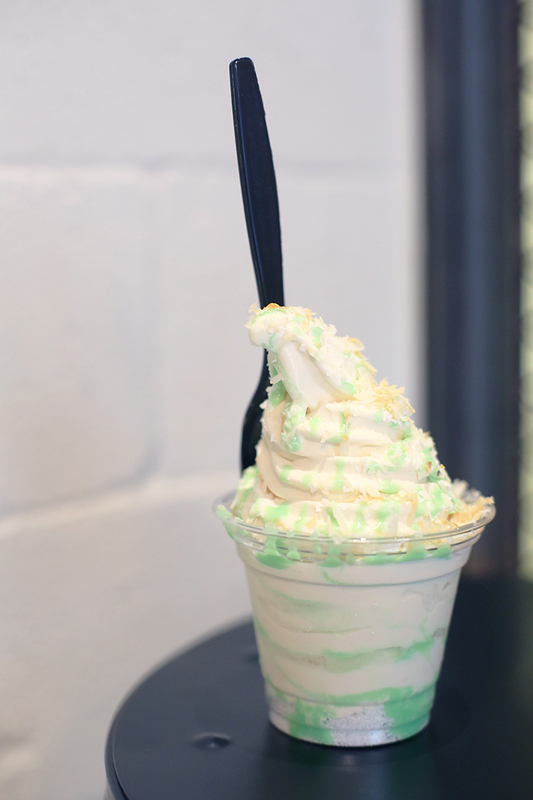 We are addicted to Moosh’s Ondeh Ondeh soft serve, which features a gula Melaka soft serve base, lined with pandan sauce and topped with desiccated coconut, coconut flakes and even more pandan sauce. Despite having so many sweet elements, the dessert remained incredibly silky and creamy without being too sweet. Sinpopo’s Gula Melaka Cake is a simple yet addictive layer cake that is lined with a generous amount of gula Melaka. 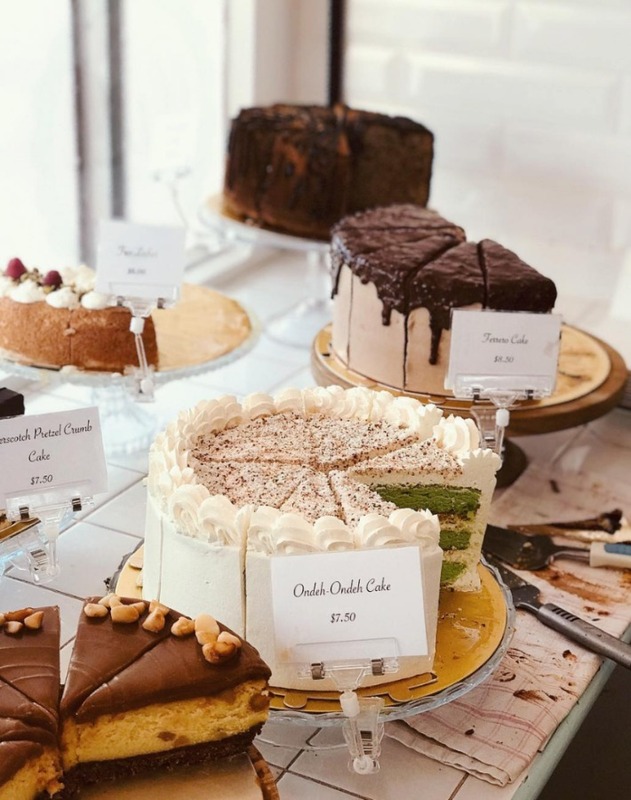 If you are worried that the cake might be overwhelmingly sweet, you can rest assured knowing that, while it is sinful, it isn’t as sweet as most cakes out there. 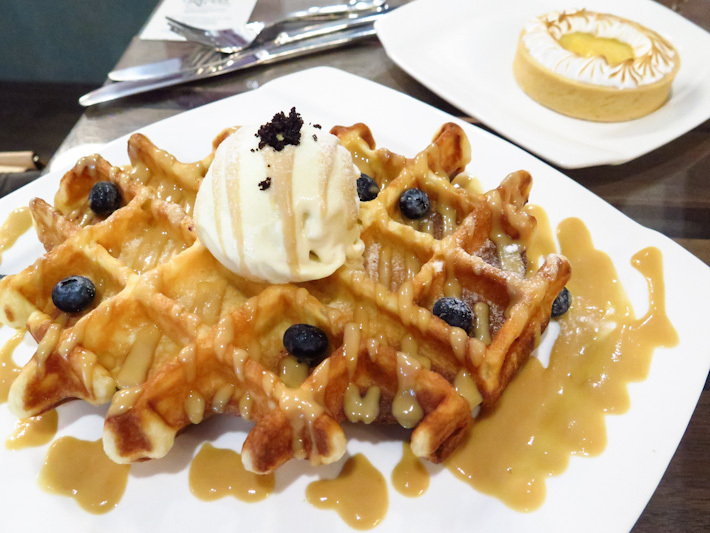 Café hoppers and foodies alike love to flock to the spacious Sunday Folks’ to indulge in their delectable offerings of freshly baked Belgian waffles and mouthwatering ice cream. Aside from their waffles, we are in love with their Sea Salt Gula Melaka Ice Cream, which comes in the form of a cup or a handmade cone. Looking for a full-fledged meal centred around the fragrant pandan and Gula Melaka? Try out the Pandan Pancakes from Two Bakers, which features fresh fruits and freshly grated coconuts atop fluffy pandan pancakes. Drizzle the Gula Melaka sauce at the side to bind the various elements of the dessert together!